Power-lunch like that guy in the Leo movie! 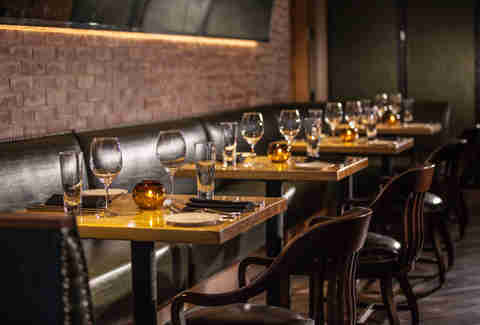 The Mayflower named their Edgar Bar & Kitchen after Hoover, so they must've felt extremely confident that it's worth a dam. 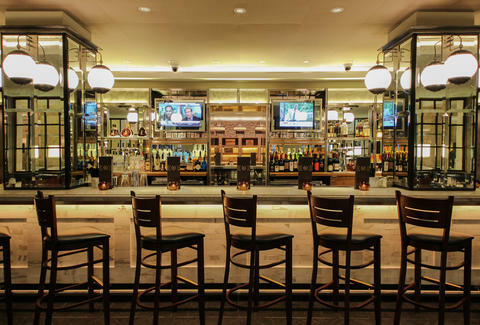 Honoring the spot where the grandfather of the FBI took lunch for decades, they've decked the space out with antique mirrors & vintage whiskey bottles, and everything's got a sort of old-timey golden glow. 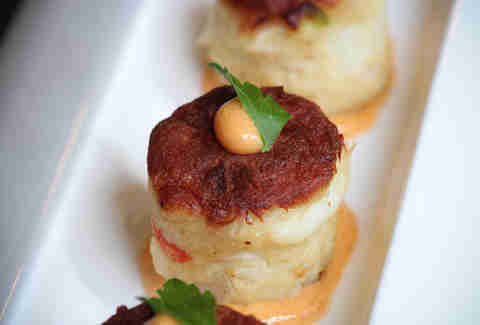 These five mini crab cakes (with smoked paprika sauce) are to regular crab cakes what sliders are to burgers (... better). 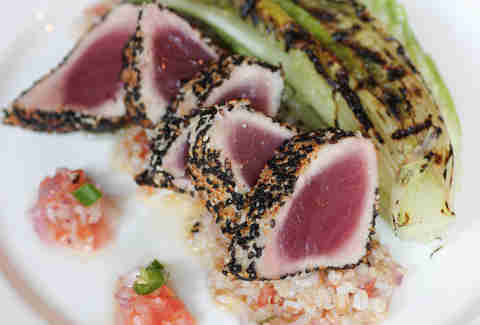 This seared Ahi tuna is seasoned with a Japanese spice blend called Togarashi, paired with ceviche vinaigrette, and served on a bed of farrow/ barley/ spelt (aka "ancient grain"). 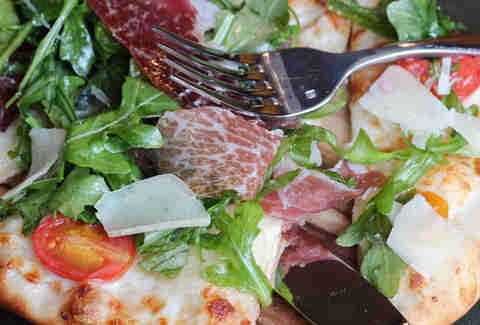 Cooked in their stone pizza oven, this flatbread is topped off with arugula, shaved Parmesan, and Virginia prosciutto. Order it at the bar while pondering/drinking 13 cocktails like a Pear Sidecar and an Old Fashioned, or as they called it back in J Edgar's day, a Fashioned.